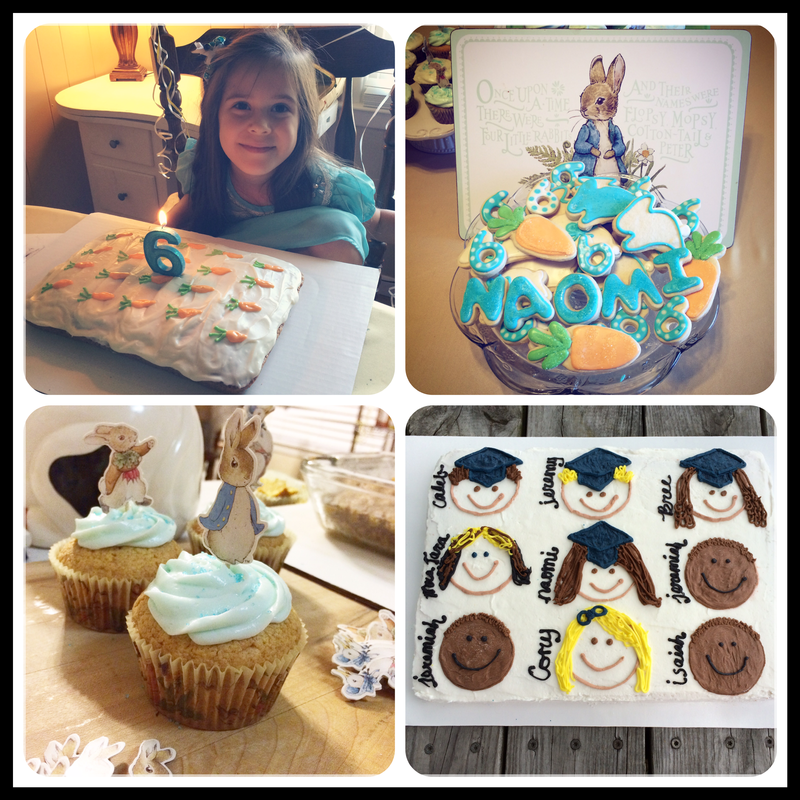 My firstborn graduated from Kindergarten and turned six years old in the same week! It was a beautiful Friday morning and excitement filled the kindergarten hall. 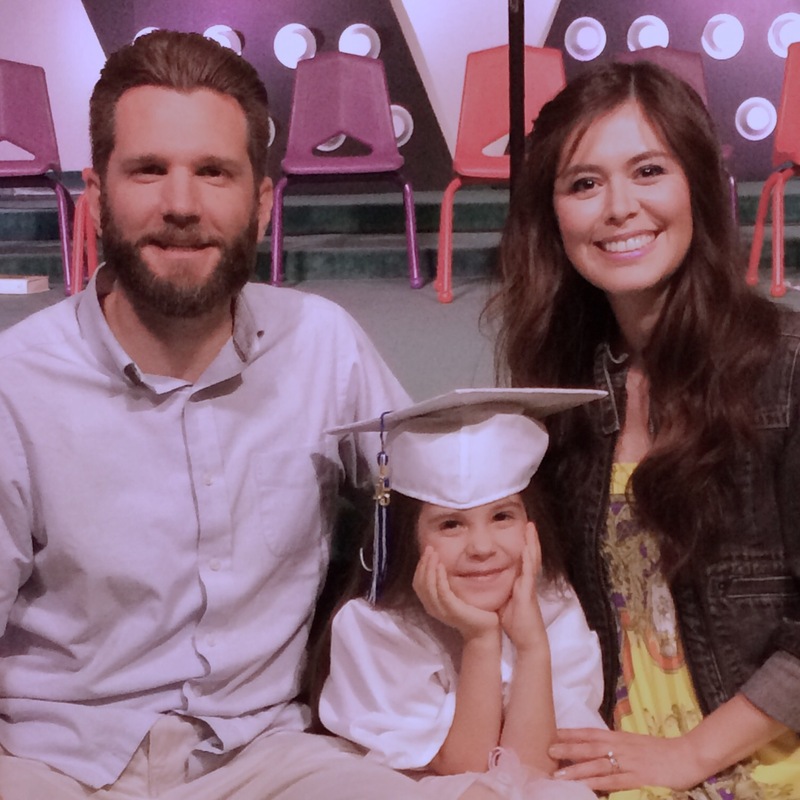 Naomi looked so adorable in her white cap and gown. 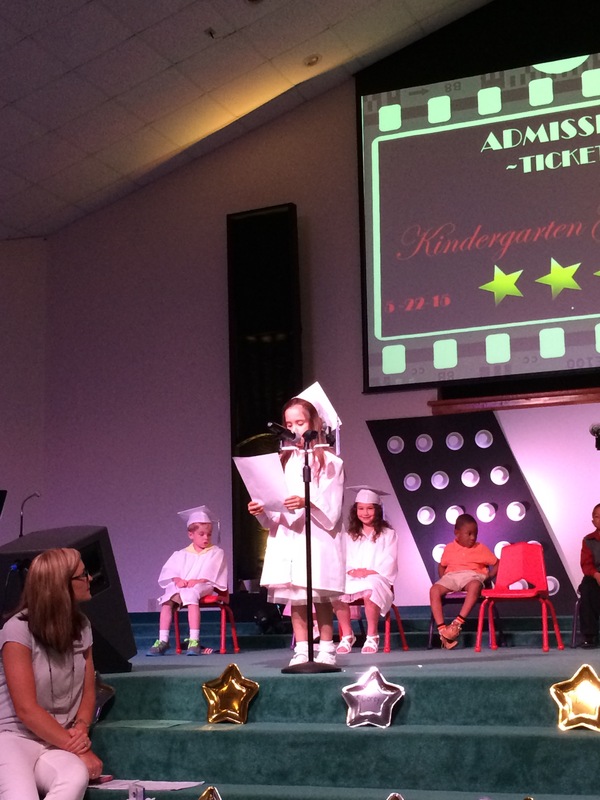 Her class gave a wonderful presentation of songs, scripture recitations, and a slide show of special moments from throughout the year. They all did well being on stage infront of an audience of friends and family. I am very proud of her. She accomplished so much this year. Now, I can’t wait to enjoy some summer fun! Sarurday, I threw a Beatrix Potter Peter Rabbit-themed birthday party. I had crafts and watercolor paints for the girls. Here are a few treats I baked over the weekend. Per special request of the birthday girl, I made a carrot cake with cream cheese frosting and carrots made from royal icing. I also baked custom sugar cookies with vanilla royal icing and buttery vanilla cupcakes with buttercream and cream cheese frosting. It was such a lovely party. I know everyone enjoyed themselves. Congratulations to all the graduates of 2015! Next > Cupcakes, The Friendliest Treat!